The kalam cosmological argument is the argument that since the universe began to exist, it must have had a cause. 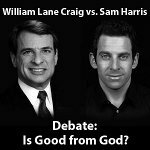 William Lane Craig is perhaps the most prolific defender of the argument – see here for a his presentation of the argument. I won’t go into all the details of the argument, because that’s not the point of this post. Simply stated, the argument starts with the general principle that whatever begins to exist has a cause of its existence, it moves to the claim that the universe began to exist, and it concludes, deductively, that the universe must therefore have had a cause. I just want to look at one very specific objection to the argument. Specifically, this objection denies the first premise of the argument (“whatever begins to exist has a cause of its existence”) on the grounds of discoveries in quantum physics. The claim is made that scientists now know that quantum particles – some, at least, are continually “popping in and out of existence” ( a popular phrase to describe the phenomenon), and their doing so is not caused. Hence, it is just not true that “whatever begins to exist has a cause of it existence,” meaning that the kalam cosmological argument should be rejected as unsound. Well, what of this? Is it true? I won’t pretend to be any sort of expert on quantum mechanics. Just Google the words “quantum,” “popping” and “existence” and you’ll find plenty of instances of this claim. What has been observed, as far as I can tell, is that things called “virtual particles” do suddenly appear and then disappear. But after that observation, conjecture on “what lies beneath” is pretty murky stuff – and as far as I can tell even those who are experts on such things accept as much. For example, precisely how would we determine whether or not the actions or appearance of a virtual particle were caused. The most honest answer I can detect out there is – who knows? They appear in a world where they are surrounded by matter and energy, and causes might be lurking anywhere. Quantum particles or expressions, exist in a so-called superposition until they are interacted with. They are aware of all these possibilities at once. This sounds familiar – if you think of yourself as being aware of many different possible life experiences that you could choose from at any given moment. Sometimes you randomly just choose to do something and at other times you plan something to experience, like a date or a movie or something. If some observer was watching you (and was the size of our galaxy) he/she might conclude that you were existing in a so-called superposition of all possible experiences until you randomly jumped into one. Of course we know that you simply choose that experience. Likewise on the quantum scale. Maybe these quantum particles are aware of their possible experiences, and simply choose which one to experience. To us they appear as just little points popping in and out of existence, similar to that of the galactic observer watching us. But we know that they are simply expressions of consciousness just like we are, who when forced to make a decision – make one. Sometimes they are favorable and at other times not so favorable. So that’s reply #2 to the objection. The first was my comment about our ignorance of whether or not these events/objects really are uncaused. Now, the first response this invites (and the only response I intend to look at here) is that this might look, initially, like a “cause of the gaps” theory. I mean sure, as long as we don’t know whether they are caused by any particular thing, we can hypothesize until the cows come home. We can hypothesize that there are green geese on the far side of Alpha Centauri too – as long as we can’t observe what really is there. But this objection fails for a couple of reasons. Firstly, remember that the initial objection I described was an objection to the claim that “whatever begins to exist has a cause of its existence.” The only way to counter this with evidence is to provide an example where there is no silence, but in fact where we do know that no cause exists. So it simply won’t do to say “here’s an example that has no known cause, but for which we can’t establish whether or not there was any cause.” This would simply be to beg the question against the first premise of the cosmological argument. Secondly – many thanks to “philosophicus rex” for using this counterexample – we don’t reason this way in everyday life. Just imagine, for example, if the coroner or the police reasoned this way. “We’ve just found the body of a 30-year-old man, and we can’t establish what the cause of death was. Now, let’s not appeal to any mysterious “cause of the gaps” here, we’re serious thinkers, so let’s conclude that therefore his death was uncaused.” This would be ludicrous in the face of a fairly well established principle that when 30 -year-old men die, there’s a cause of death! The lesson: Silence does not overturn generally well established principles. In an interesting turnabout, Fancois Tremblay has sought to turn William Lane Craig’s use of the kalam Cosmological argument against him. Part of the argument, namely premise 2: “The universe began to exist,” draws on, among other things, Craig’s argument against the possibility of an actual infinite (it also draws on the empirical scientific evidence that the universe did begin to exist). Basically, the argument is that if the past is infinite in duration, then an infinitely large number of days (or months, or years, take your pick) has been traversed. But since an infinite number of things cannot actually be traversed, the past cannot be infinite. This is where I must now part ways with William Craig. While his argument against infinite regress is reasonable, we also have to contend with his belief in an infinite god. And we have to ask, what does it mean for a god’s knowledge, power, benevolence, and presence to be qualified by “infinite”? Since an actual infinite cannot exist, says Francois, an infinite God cannot exist either, and so if there is a God, he must be finite. The main question I would want to ask is who the argument is supposed to be directed against. 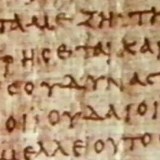 Are there any philosophers of religion who defend a concept of Theism whereby God’s knowledge is said to consist of an infinite number of propositions? And if there are, does it do any harm to traditional Christian theism to show that they are wrong? After all, all it takes is a simple internet search for the words “God,” “knowledge,” “propositional” and “intuitive” to find out that omniscience doesn’t have to be viewed as having an infinitely large collection of true beliefs. God’s knowledge, as Aquinas noted, can be (and should be) construed as intuitive, rather than propositional or discursive. Likewise, omnipresence need not be defined in terms of being present in an infinite number of places (in fact if God is literally not extended in space, it is just obvious that this is not what it means), and so forth. Turnabout is fair play, but in this case it did not pay off.